Inside: Playing the right games will exercise the brain and make kids smarter. These games require strategy, spatial organization, and visual perception. They are perfect for teens and tweens. Play games with your kids and watch their brains soar. Christmas is around the corner and perhaps you’re “stuck in a rut” not knowing what to get your tweens and teens for gifts. Why not give them something that will get them thinking, problem-solving and strategizing (hence making them better students)? If that is your goal… ya gotta give’em board games! Because the right games will exercise their brains in amazing ways and make them smarter kids. How do I know? 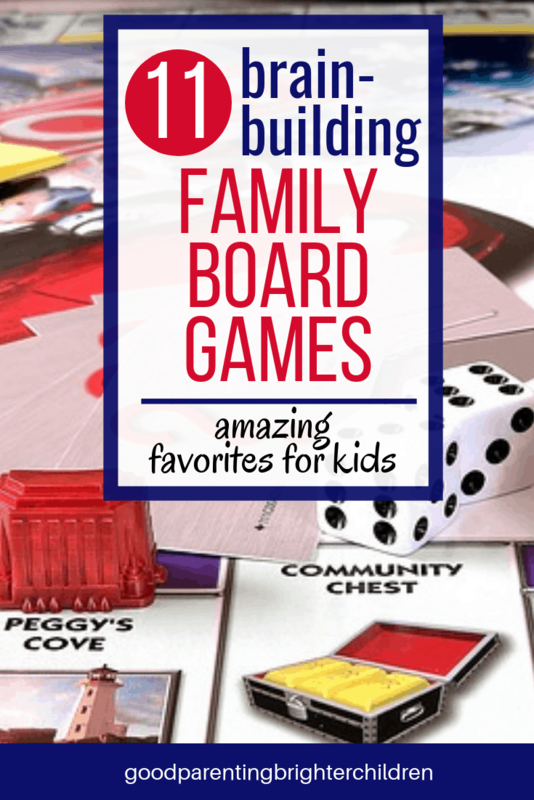 We played games as a family; we had a weekly designated “game night,” and I watched how those games influenced the ways our kids’ problem-solved. Here is a list of 10 games plus a super bonus game that will get your tweens and teens thinking on all four cylinders. These are brain-building games that involve intricate strategy, spatial organization, and visual perception. Several of them are considered “oldies but goodies,” because they have stood the test of time and are loved and beloved by many. Bottom line: For this age group, they are literally the best brain-building games in the world. Note: The “review” section was provided by friends, family members and people in other countries who love and regularly play these games. Do you want your teen to understand economics while having fun? This is the game to play. There are several versions of this game, and all of them require production, trading, and building. The goal is to build cities, settlements, roads and to collect development cards. Each player uses various resources such as grain, ore, lumber, farm animals, or brick to sell or trade with other players. You get resources by rolling the dice and trading with other players. However, you must be on the lookout for someone trying to rob you or block your ability to trade. Catan is a landmark game, and a modern classic of teaching social order wrapped up in play. It was awarded “Game of the Year,” in the United States and Germany and is considered an international favorite. Players are required to think and both visually and mentally strategize their moves. This kind of play builds the spatial areas of the brain which in turn helps kids in math. It also teaches basic economics. This is a must-have for any game-playing family. Strategic enough to entice adults yet simple to reel in young children. Warning: highly addictive! Hive is considered a board game, except there is no board. As each player adds pieces, the board is created. Hive comes with an excellent rulebook and explains all the different things each piece can/can’t do. As more and more pieces are added; the game becomes a fight to see who can be the first to capture the opposing Queen Bee. Playing the game is easy and you can become quite proficient in a short amount of time. Although not as intense as chess, it is more interesting than playing checkers. 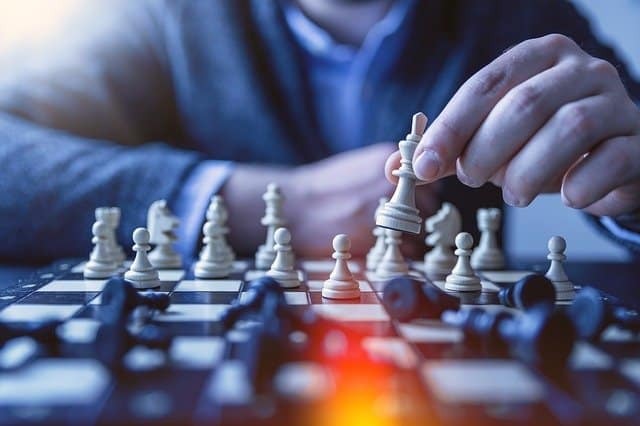 Unlike chess, the board is always changing (as you build the hive), and it’s easier than chess—even though you have to be on your toes thinking through each move. It’s a game of strategy and perception, so each player must think and think again. Many board games just require shaking the dice and moving the pieces. Not this! You are thinking, strategizing and maneuvering the entire time. And, it also strengthens the spatial areas of the brain as you build your hive (which increases math understanding). Hive is a lot like chess. Lots of versatile pieces, two-player only, super addicting, and tons of strategy play. It brings out the best problem-solving skills you never thought you had. This is considered one of the “Resistance” games because Coup is all about deception and political intrigue. Out of the depressed rises “The Resistance,” an underground organization bent on overthrowing the greedy rulers. They create discord and weakness in the political royal, almost bringing the government to collapse. According to the cards you draw, you can manipulate, bribe, and bluff your way into absolute power. In order to win, you must destroy the influence of your rivals and send them to exile. Unfortunately, there is only room for one person to survive. Another game about thinking and strategizing. Consider this: your teen must use his/her thinking hats when playing these games and in turn, he/she translates those same skills while doing schoolwork. Playing and strategizing using games is the best way to learn thinking skills. Coup is a fun social game about honesty and deception. You can bluff your way into any action, but it’s never mandatory. Truth-telling can also be rewarded. You get to decide. The fun of the game is detecting the fibbers, calling them out, or perhaps even getting tempted yourself to spin a yarn. It’s a game that’s best elevated when you’re playing with people who can appreciate a good poker bluff and not mind being called out for it. Dominion is one of the deck-building games meaning that all the players start with the same 10 cards in their play deck. Players can buy additional cards throughout the game (bigger decks give you more play options). Each player is a monarch and ruler of a small kingdom (just like your parents before you). But, you have bigger hopes and dreams than your parents and want a larger kingdom. You want a Dominion. In all directions on the board are small pieces of land, controlled by petty lords; verging on anarchy. Your goal is to bring civilization and unite these people under your banner. However, other monarchs (players) have the same idea. The race is on and you must get as much unclaimed land as possible. To accomplish this, you hire minions, construct buildings, spruce up your castle, and fill the coffers of your treasury. This game builds critical thinking skills because players analyze, synthesize and evaluate each move as they play. Though intimidating at first, quickly becomes addictive and exciting, to say the least. Don’t let the many decks of cards stress you out. Strategically playing a specific card may be the turning point in you winning or losing the game. The goal of this game is for the players to fit all of their pieces onto the board. As they place a piece, it cannot lie adjacent to the other player’s pieces. But it must be placed touching at least one corner of their pieces already on the board. The player who gets rid of all of their tiles first is the winner. The game is easy to learn, takes about 30 minutes to play and can be repeated for more family fun. Blokus is a fast-paced strategy game that defines “One Rule, Endless Possibilities.” It requires quick-thinking, considering all possibilities, and making careful calculations. This game strengthens the spatial areas of the brain which translates into better math skills. This is a great game for budding engineers and anyone who is good at spatial games (think Tetris). Will also come in handy for later endeavors like packing suitcases in the car. Codenames is a family game for 4-8 players. There are two rival spymasters who know the identity of 25 agents. Their teammates know the agents only by their codenames. Each team tries to make contact with all their agents first and win the game. Spymasters give one-word clues that can point to multiple words on the board. Teammates try to guess words while avoiding those belonging to the opposing team. There is also an assassin that everyone tries to avoid. Helps your teen to strategize, analyze, and evaluate knowledge. In other words, it is building critical thinking skills. For your child to be successful in school and beyond, they must learn how to think critically. This game helps to develop those skills. A card game like no other. Having to think of one word to describe many things — It’s a fun way to stretch your brain and really see if you know the people you think you know. This is a classic game of battlefield strategy that has been around for over 50 years. Think of war and what it takes to fight the enemy using troops, spies, and infiltrators. You want to be the person to “capture the flag” and win the game. Two armies clash and one is victorious. These are Napoleonic armies and each player must devise plans to deploy troops with strategic attacks and clever deception to break through the opponent’s line and capture the flag. A simple game that has stood the test of time. I loved it as a kid, and I love it as an adult. It combines the quintessential features of a quality game: enjoyable for all ages, and fun enough to keep coming back for more. SET is one of the most awarded games of all time. It has a ton of educational value; teachers love the game and it is used in classrooms around the world. It can be played solo or with several other players. The object of the game is to find as many SETs as you can—the player with the most SETs at the end of the game wins. A set of cards consists of 3 cards that are either All Alike or All Different in each of 4 features: symbols, colors, numbers, and shadings. Twelve cards are displayed at once and everyone is racing to find sets and when a player finds a set, he/she must call it out and point it out. As the game states, it’s about visual perception. Visual perception is extremely important for learning, reading, and writing. It’s the process of absorbing what you see, organizing it in the brain and making sense of it. I love SET because not only does it exercise your brain, but I love seeing how everyone’s minds work. Some people notice the simple sets, some only look for the complicated ones (that was me, sometimes I wouldn’t see a super easy one staring me in the face! ), some people are methodical about searching…anyway, it is always a lot of fun and very rewarding to win! If you have ever heard a word that “triggered” a song in your mind, then you are Spontuneous®. This is “America’s Hottest New Party Game.” It’s fun, fast, and spices up any get-together. And, it’s one of the few games where kids, teens, adults, and even grandparents can join in the fun as it sparks conversations and memories of music. One player says a “trigger” word and the race is on for the others to sing a song containing that word. Each player tries to stump other players from singing a portion of any song containing the trigger word. The first person to reach the “Finish Line” of their song wins the game. I’m all for anything that has a musical component to it. As you “sing” your way through this game you are building the auditory areas of your brain which translates into better reading, writing and concentration skills. Last year I didn’t know a whole lot about this game–got it, played it–and it’s fabulous! 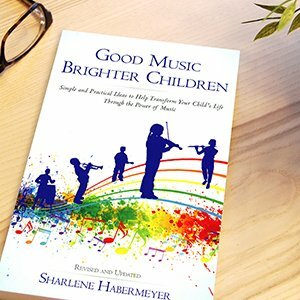 Because there is a listening component to it, it will help to develop the aural skills (or listening skills) of your children. This is a keeper! Okay, I’m not a fan of video games. I’ve seen too many kids stare comatose into a screen hour after hour and push buttons to maim or kill their opponents. Most video games are not educational (sorry). And all that staring at a 2-dimensional screen is anything BUT good for the brain. However, my daughter-in-law encouraged me to include one video game that actually requires a lot of strategy and thinking. Hence: The Legend of Zelda: Breath of the Wild. Each player is exploring the wilds of Hyrule; climbing towers, mountain peaks and braving the wilderness. They battle enemies, wild beasts and gather ingredients for food and elixirs for the journey. Players discover 100 Shrines of Trials and solve puzzles inside that include physics, harnessing the power of nature, (including electricity, wind, and fire), and thinking outside the box. Players must be prepared and equipped with different outfits and gears as they encounter varying temperatures and a need for clothes that can make you faster or stronger. And of course, battling enemies is part of the deal. And each enemy has their own attack method and weaponry—so you must put on your best thinking caps to defeat them. After carefully reading dozens of reviews on this game, I’ve come to the conclusion that it really does require higher level thinking skills and strategizing. I believe that kids develop these skills precisely through game playing and NOT through boring workbooks (that they are given in school). Hence, I think this sounds like a game that will definitely build critical thinking skills and problem-solving skills. Breath of the Wild is not your average video game. It opens you to a massive, open universe and dares you to explore. It challenges you to problem solve in super creative ways. It tests your ability to analyze complex puzzles like no Zelda game has ever done before. You’re always learning how to best survive, forage for food and weapons, adapt to cold and hot climates, and how to best defeat your enemies. Best of all, this game allows you to discover all of this through experimentation. The level of freedom is incredible and super refreshing. You’d be hard-pressed to find a smarter, more rewarding video game experience. This is a fabulous educational game to strengthen vocabulary and spelling in kids. It is a winner of multiple awards and will fast become a family favorite! It’s been said this game is fast to learn but will challenge players for a lifetime. It was developed by George Weiss when he was 84 years old. If your kids love words, word games, spelling, and vocabulary—they will love this game! You say “go” and the race to spell 5 words in 2 minutes using your 20 tiles is on! The first person to spell 5 words wins the round. Strong readers have strong spelling and vocabulary skills. This game builds both. Each player needs to think and work fast to spell 5 words correctly. Plus for older players, it acts as a brain-teaser and keeps the brain sharp! This game is amazing for kids as young as 8 and as old as 100. Why? Because it provides a great brain-teaser for people wanting to keep their minds in tip-top shape. At times it almost feels like a crossword puzzle—having to think of words and spell them correctly. Another advantage; it can be played solo. So, there it is—11 of the “Best Brain-building Games in the World” for your tweens and teens. If you have experience with any of these games—please comment below. Or, if your family plays other games that you love, and that build your kids brains, please let us know which games (so we can join in the fun). Here is the “Teaching Tips for Parents” section. They are ideas for parents to help increase fun, learning, and interaction with your kids. If you missed the blog on the “Best Brain-Building Toys in the World”–you can find it here. Click here. Want to remember this post? 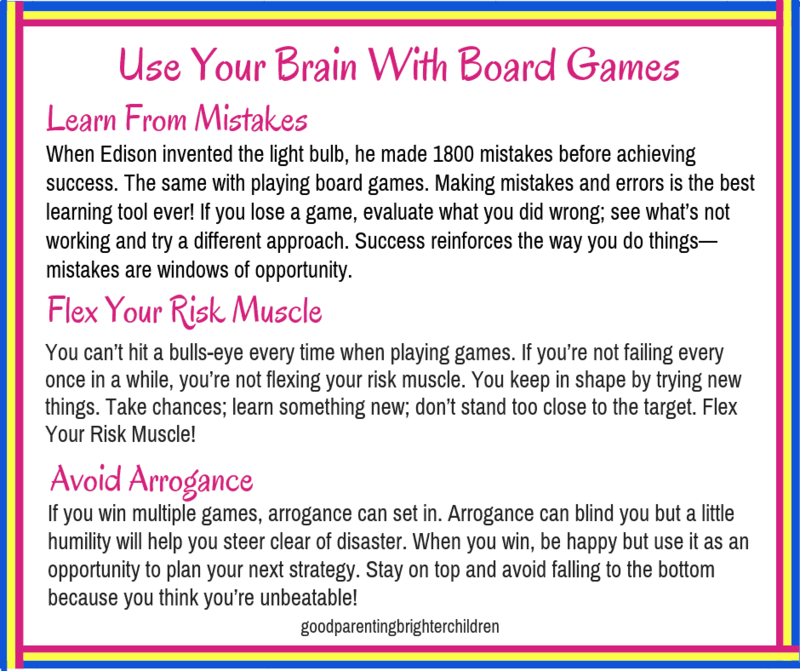 Post these “11 Best Brain-Building Board Games for Teens in the World” to your favorite Pinterest board! « 45 of The Most Amazing & Fun Christmas Traditions in the World! I love your list. We are a HUGE board game family! Settlers of Catan is our second favorite game! One that didn’t hit your list but our house favorite is 7 Wonders. We are an extremely competitive family, and this is one where your play doesn’t negatively affect other players. So, nobody gets mad. It’s not a cooperative game, but your play affects only you, and it’s just a really fun game. Pandemic is another house favorite, a cooperative game… And for extended play, Pandemic Legacy. Stephanie! These are great suggestions! I’m going to check them out–before Christmas. We like to exchange board games (we used to exchange DVDs–a waste). These sound perfect for the gifts I still need to get. Thanks for your input & suggestions! What a great list of games for teens!!! I can honestly say I haven’t played a single one of this list. This excites me though because now I have 11 games to introduce in our house. First on my list, Spontuneous:The Song Game, for my music loving son. He will love Spontuneous! But–try Settlers of Catan–that one is amazing! Thanks for your input–always appreciate your support! Thanks for the info about these games. I’m always looking for new and GREAT games. My grandkids are getting older and several of these games sound perfect. They are smart kids who like a challenge!